American frontier. Each chapter tells a distinct story about the American West. Written and directed by Joel and Ethan Coen and featuring a truly impressive ensemble cast, The Ballad Of Buster Scruggs is an entertaining, amusing and occasionally heartbreaking collection of Western tales. Beginning with the first page of each chapter from a book (also called The Ballad Of Buster Scruggs), every story has its own distinct tone and moral. Meanwhile, each story combines elements of light, eccentric humour and brutally violent darkness. For example, the film starts with Buster Scruggs himself. Beautifully portrayed by Tim Blake Nelson, Buster appears harmless - a comedic character strumming his guitar and singing stories about life in the Wild West. However, underestimate Buster at your peril. He is a fiend with a gun - often the only man left standing. Nonetheless, he remains a lovable and endearing figure to the end of the chapter. Chapter two, Near Algodones, stars James Franco as a bank robber. All does not go well - leading to some highly entertaining twists and turns and one of the funniest one-liners that I have heard for a long, long time. 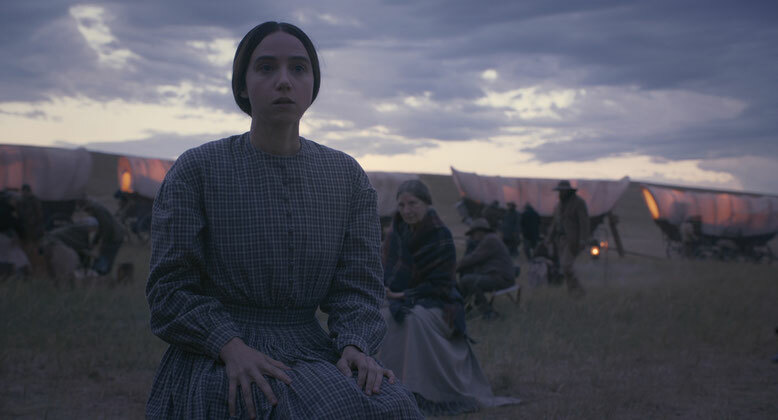 After two amusing and entertaining chapters, The Ballad Of Buster Scruggs changes tone to tell a rather unsettling story (uncomfortably called Meal Ticket). Starring Liam Neeson and Harry Melling, the tale explores the shallow, heartless side of the entertainment business. Unlike the two chapters before, Meal Ticket is far from uplifting. The next tale, All Gold Canyon (featuring a brilliant performance from Tom Waits), does little to lighten the mood. The story follows a gold prospector and his selfish pursuit of this prized precious metal. Chapter five was my favourite overall. Titled The Gal Who Got Rattled, it stars Zoe Kazan as a woman hoping to make a new life in Oregon. There is something so pure and endearing about this tale - I loved every minute. Its rather shocking conclusion has lingered long in my mind. The final story in The Ballad Of Buster Scruggs is called The Mortal Remains. It stars Brendan Gleeson and Tyne Daly (among a collection of other brilliant characters) and is a tense and hilarious story full of intrigue. There seems, at first, little to connect the six chapters. Perhaps the film’s only underlying theme is man’s inhumanity to man and the senseless nature of violence (expect a fair few gunshots to the head). The tales are also connected via Carter Burwell’s brilliant score and Bruno Delbonnel’s impressive cinematography. The Ballad Of Buster Scruggs is a truly gorgeous film to look at - absolutely stunning from start to finish. There were several moments when the visual depiction of the wide Wild West took my breath away. As with most anthologies you will likely enjoy some chapters of The Ballad Of Buster Scruggs more than others. However, the whole is a very satisfying and entertaining sum of its brilliantly Coen-esque parts. 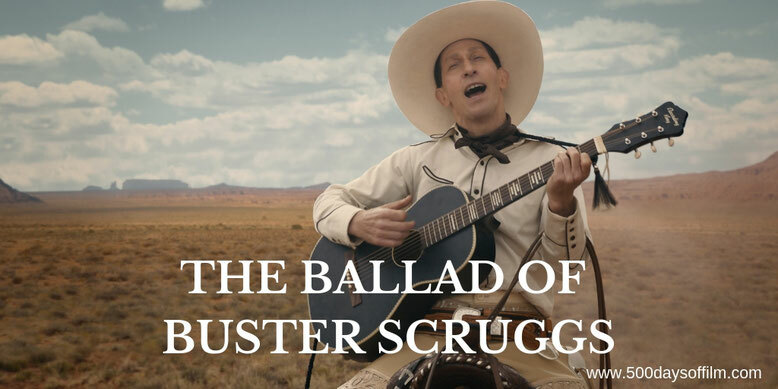 Have you seen The Ballad Of Buster Scruggs? If you have, what did you think of this anthology film? What chapter was your favourite? Let me know in the comments section below or over on Twitter. You can find me @500DaysOfFilm.